- Gildan Heavy Blend 8.0 Ounce Adult Open-Bottom Sweatpants. - 8.0 ounce, 50/50 cotton/polyester preshrunk fleece knit fabric. 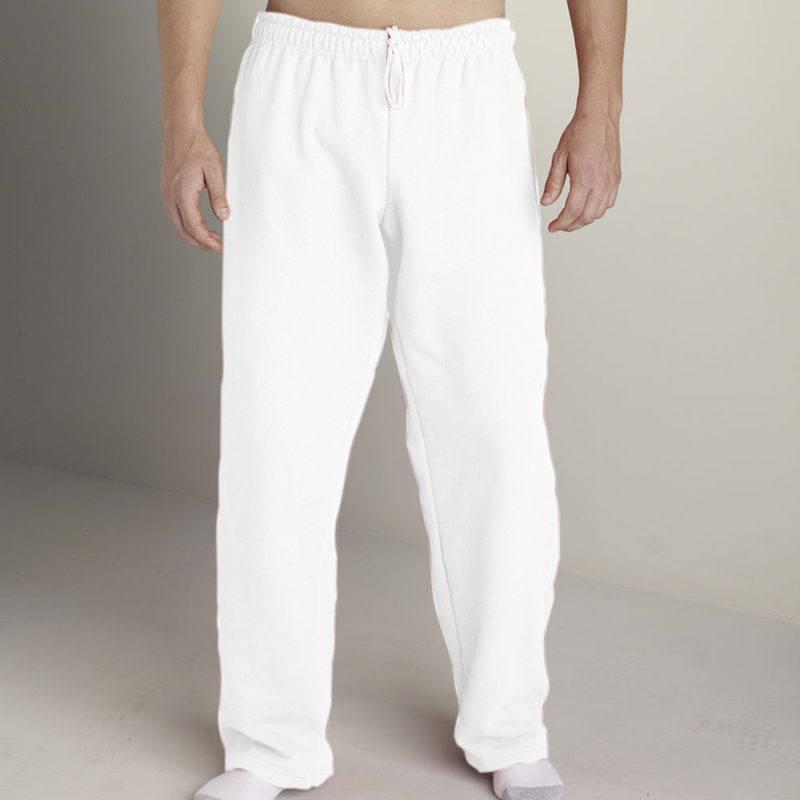 Gildan Heavy Blend 8.0 Ounce Adult Open-Bottom Sweatpants. 8.0 ounce, 50/50 cotton/polyester preshrunk fleece knit fabric. Slightly tapered leg with open bottom. Covered elastic waistband with drawcord. Differential rise for better fit. Sideseamed. Tear away label. Sizes: S-3XL. Colors: Charcoal, Maroon, Purple. Sizes: S-5XL. Heathers: Ash, Sport Grey. Colors: Black, Dark Heather, Forest Green*, Navy, Red, Royal. *Colors ship from Eden, NC.